Aside from the opportunity to take advantage of the free bar tab, the LinkLove after-parties can actually be one of the most valuable parts of the conference. Exclusive to the conference attendees, it's the time when everyone relaxes after the intensity of a day’s learning. It's the perfect opportunity to digest all of the information and tips shared by the speakers, chat through your thoughts with fellow delegates and establish and nurture those all-important industry relationships. 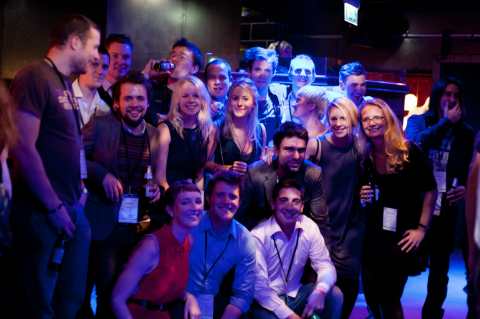 LinkLove London - Bloomsbury Bowls - KingPin Suite: There will be bowling, karaoke and networking opportunities galore! So pick up a ball and knock down some pins, then take advantage of the free nibbles and drinks with your newly-found industry friends. LinkLove Boston - The Baseball Tavern: There's nothing like a game of beer pong or corn hole to get you chatting to a stranger and taking advantage of the opportunity to make a new contact. With free nibbles and drinks thrown in for good measure, there's no better way to wrap up the day's talks and make the most of the chance to chat to the speakers. Pro tip: Go and speak to someone you haven’t met before. We’re all guilty of sticking with our work mates at these types of events, but now is actually the perfect chance to get to know someone who could just be the connection you need for a new link / client introduction / help with your latest project.